Please give the banners & avatars 30+ seasonds to fully load. WOW.. THESE ARE ALL AMAZiNG..! i love all of these OC avatars! Ryan and Summer fanart! Amazing! Thank you so much, they are awesome! thanks they all look amzing.I can’t believe what an amazing show the oc is.thanks!!!!! ThOsE PiCtUrE aRe SoOoOo cOoL!!!!!!!!!!!!!!!!!!!! These Pics are gr8! but i think there should be more with just seth,summer,marissa and ryan with little sayings on it etc coz yeah. But they r still good! 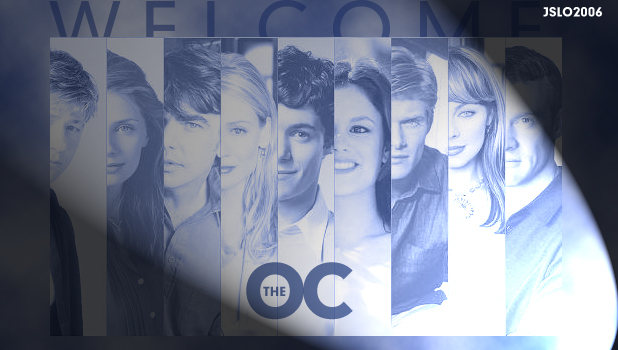 I want to do what I can to save The OC, it’s my favorite show ever. I made some banner/avatar sets. They’re pretty simple but it doesn’t matter, they’re all for the same thing, right? Feel free to use them anywhere! heyy th eoc is the best and i love it! these are just great! The people in fox deleted my account on their message boards and i checked the terms and conditions i did nothing wrong. My guess is they deleted me because I suggested that people stop watching fox shows(except the oc) so our message is said. Please don’t let them silence me spread the word. yer really good thx but theres to many lol!!! We need some Ryan/Taylor avatars now… maybe embracing Taylor more will show FOX or CW that we still love it even without Marissa..
Daniella, if you were an artist you’d understand how insulting it is for people to take your art, claiming they made it. One simple way to know if we made the art is to ask us how we made it, because only us would know. Besides if we were the ones “stealing” why would it be such a big deal? Just wanted to say thanks for removing all those artists art, that requested so. But for some, it may be too late. It’s something that has to be done (Crediting, that is). It’s a sign of respect and dignity. Also, you’re asking for “prrof” and how would they get that? By sending you the PSD ffiles of all the banenrs thye amde? it’s not easy providing this “proof”. But take it, for what’s ti worth. When an artist wants stuff creditted or removed. Hope you and others doing the same thing, have learned a lesson. That will stay with you forever. Stealing isn’t cool wheter it be online or anywhere else. People take time and hard work to create something, and they deserve the right of being credited for such. they´re so meant to be,you can´t deny. PLEASE YOU TWO GET BACK! ps.the avatars are cool and ,that´s the best part, there are some new pics.that´s great! why its all over whyy!!! it’s a great show!! omfg I love adam brody! The O.C was one of the best things that ever happened. I can’t believe it’s gone now.. It’s like the end of the era. I can’t believe they killed Marissa.. The O.C is so not The O.C without our Cooper friend :(( They just chucked her off just like that. 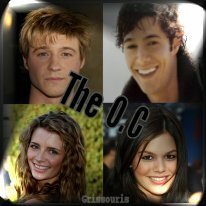 Heyy this is awsome i love the O.C and will Always miss it FIGHT FOR LOVE !!!!! thank you very much! i love all your creations! I can took some banners/avatars? I have some of Seth and summer! omg ryan is so hot and so is seth.! who can make some Animation Icons of ryan and marissa?